I’m not sure who may have been the maker of this piece, but the craftsmanship and design are quite beautiful. 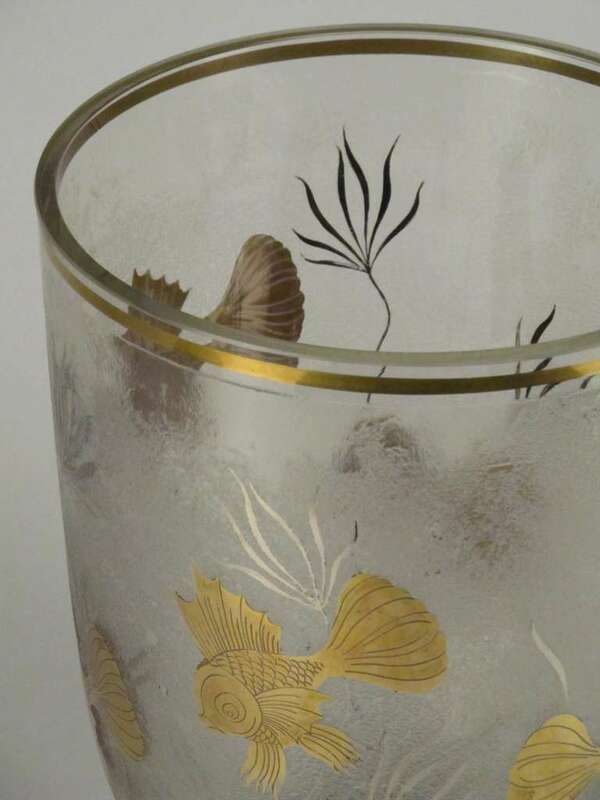 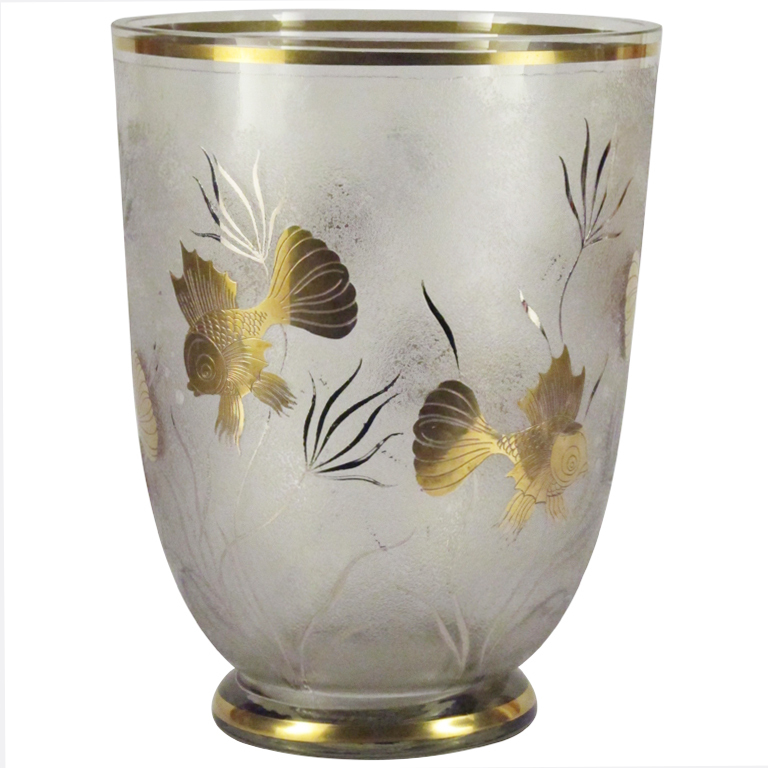 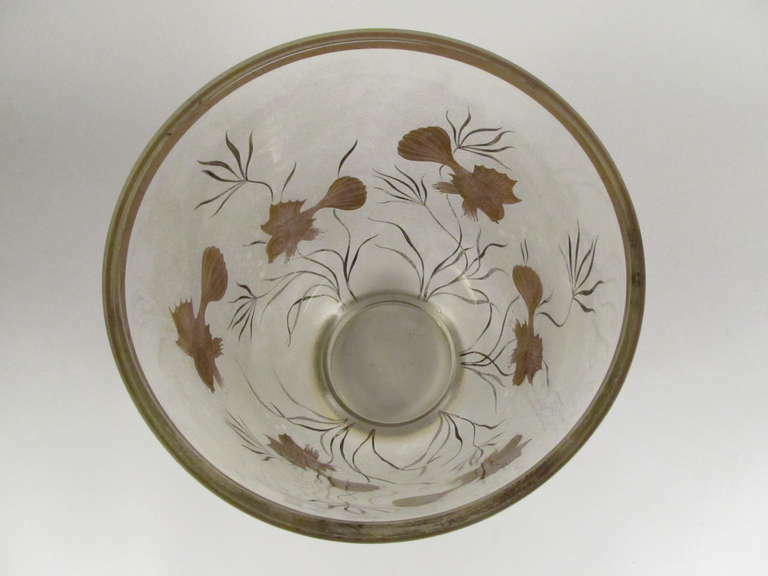 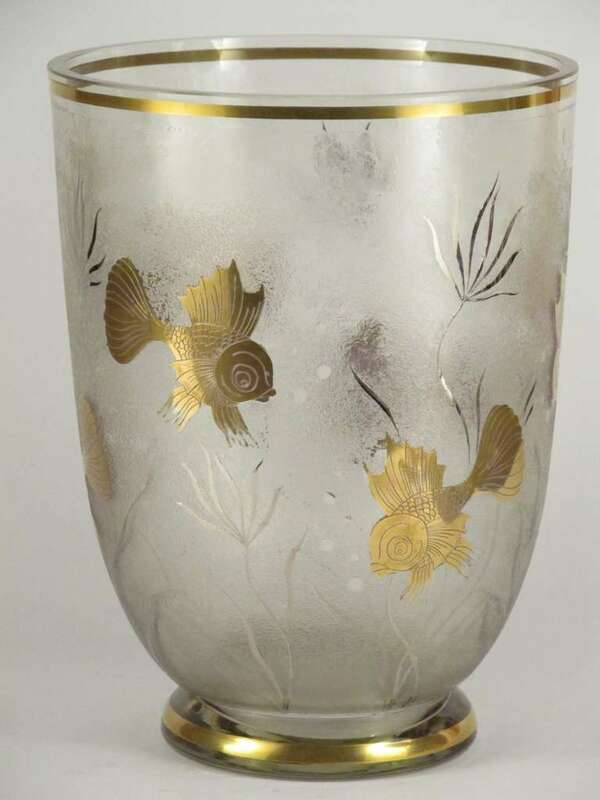 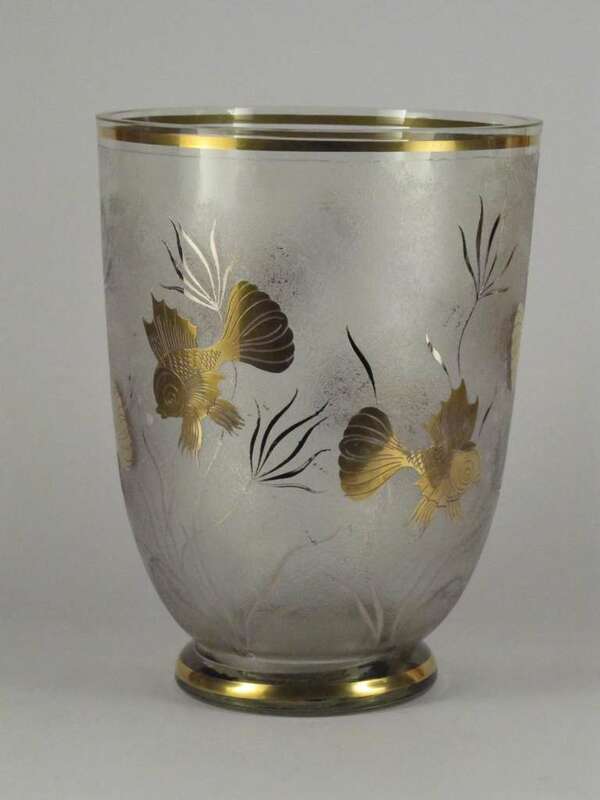 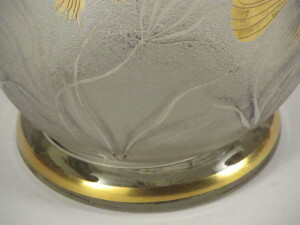 The outside of the clear glass body is textured, and with a band of gold overlay about 1/4″ wide around the top and bottom. 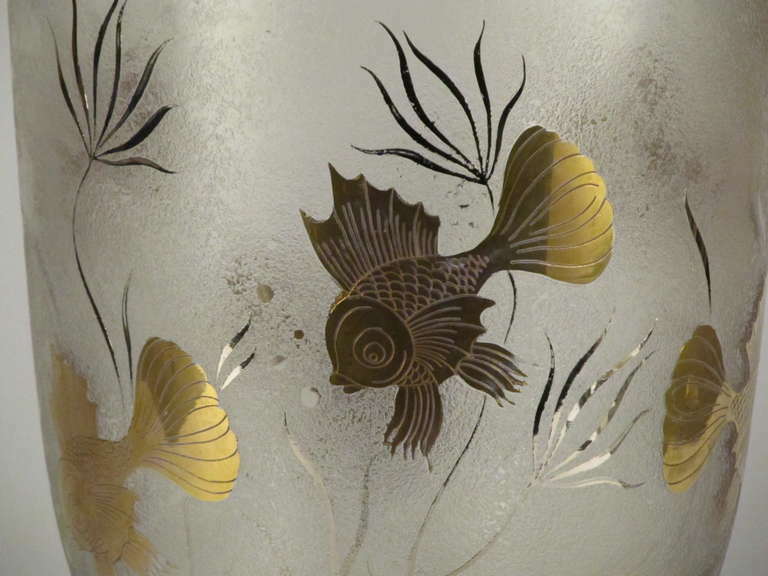 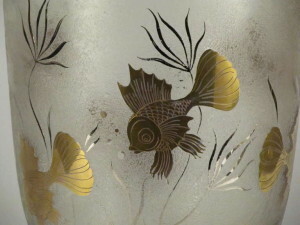 The sea weeds are done in silver overlay, and of course, the fish are gold. Once filled with water and flowers, the stems of the flowers will become visible as part of the part ot the scene.